Commencement will take place Friday, Dec. 7, at 10 a.m. at the Greensboro Coliseum. A live stream will be available for faculty, staff, family, and friends who are unable to attend in person. Click the picture for the link to the live stream. 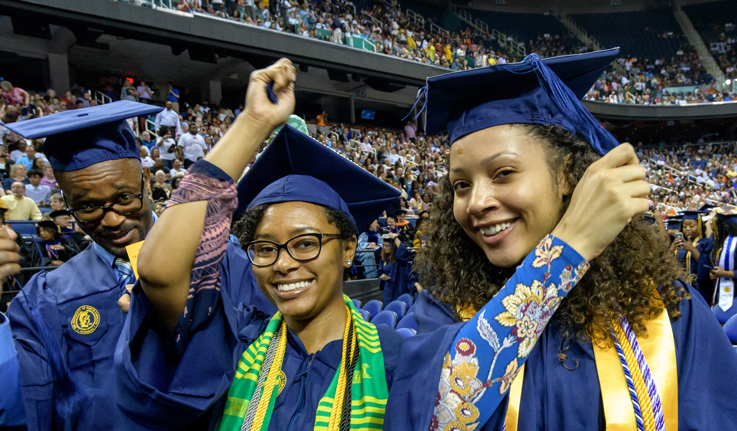 Commencement will take place Friday, Dec. 7, at 10 a.m. at the Greensboro Coliseum. A live stream will be available for faculty, staff, family, and friends who are unable to attend in person.Click the picture for the link to the live stream.